This update will have the tablet bumped to software version KOTH49H.P605VVRUCNC2. 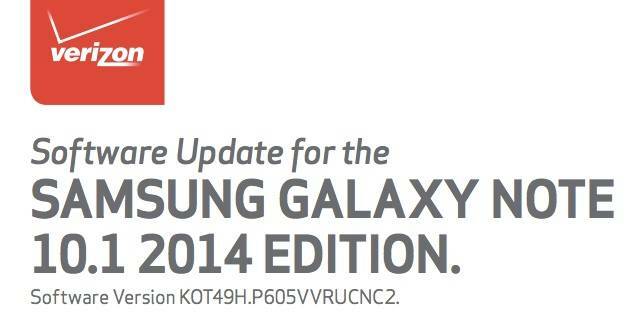 More important though -- the update contains Android 4.4. Kit Kat along with several other "device enhancements." On the Kit Kat side this means users can expect goodies such as immersive mode for full-screen viewing, faster multi-tasking and a multi-user mode.